The Weekly vs. Annual/High Sabbaths. 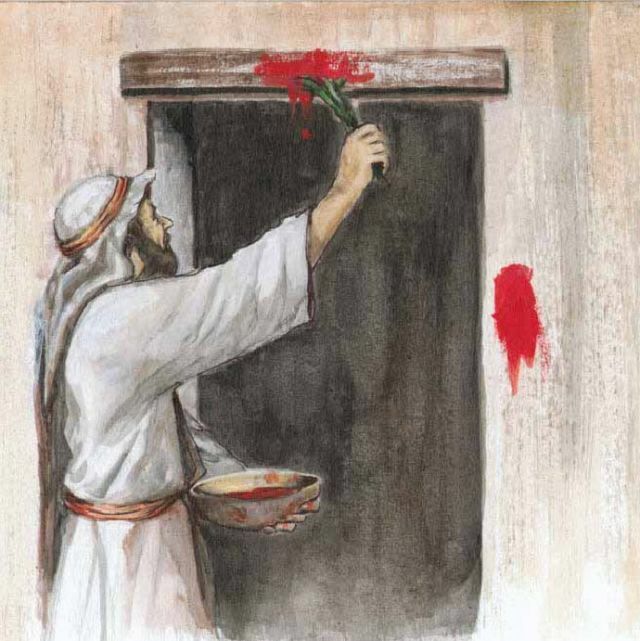 By Christ’s time when incarnate (c. 6-36 CE), rabbinic Judaism (Matthew 23:8) had corrupted the Law (Torah) so badly that they confused the Passover with the first day of Unleavened Bread with both occurring on 15 Nisan; that continues to this day. What’s interesting about verse 5 is that Christ is the unblemished (i.e., sinless) Lamb of God. Most theologians believe that Christ’s ministry lasted three and a half years as three Passovers are mentioned in the Book of John. What they fail to realize is that there is a Second Passover (Heb. Pesach Sheni) on the 14th day of the SECOND month on the fifth day of the week each year IN ACCORDANCE WITH THE LAW! Author’s Note: The word “alien” (Heb. ger[im]) in v14 is in regard to a proselyte to Judaism. the Congregation of men and women in Damascus, Syria. Where was Saul (Heb. Sha’ul) going to persecute the men and women of The Way under direct orders from the Great Sanhedrin (Acts 22:4-5)? Damascus (Acts 9:1-19, 22:3-21)! Flavius Josephus, a Jewish historian and self-described Pharisee, derogatorily referred to this sect as Essenes (=pious ones). They NEVER referred to themselves as such and were certainly NOT a branch of the Pharisees! See what Christ thought of Pharisees in Matthew 23. The day before these two annual sabbaths would be a preparation day. What day fell before the first annual sabbath of Unleavened Bread on 15 Abib? The Passover, which is a Preparation Day, on 14 Abib! How can “New Testament-only Christians” fully understand the NT without understanding the OT? Are you getting this yet? Christ was NOT crucified on Good Friday and resurrected on Easter Sunday morning; He was crucified on the Passover (14 Abib) — the THIRD day of the week — and was quickly buried before the ANNUAL sabbath on the first day of Unleavened Bread! I challenge anyone to explain how one arrives at three NIGHTS if Christ were crucified and buried on Good Friday with His empty tomb discovered Easter Sunday morning. Is the Son of God a liar? We have been deceived since the Council of Nicaea. He was dead and buried from 15-17 Abib, was resurrected as Lord of the (weekly) sabbath (Matthew 12:8) on 18 Abib, and His empty tomb was discovered early (during the waning hours of “evening” just before daybreak) on the first day of the week (19 Abib)! Shema Yisrael! (Hear, Israel!) Your Redeemer — the Lamb of God, the Suffering Servant of Isaiah 53 — is Yehoshu’a HaMashiach (Joshua the Messiah)!